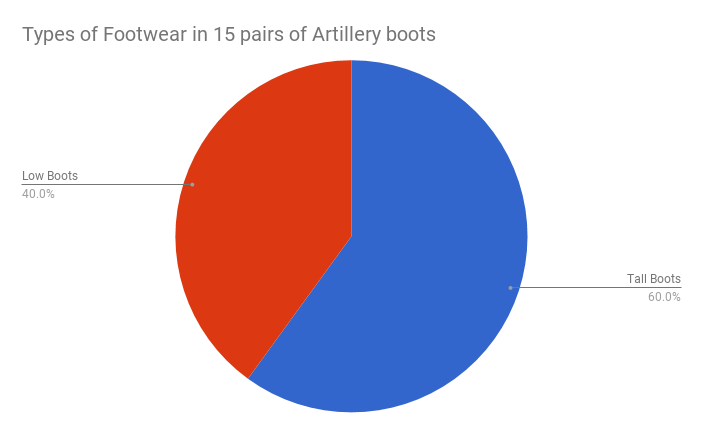 I have often found very conflicting information when it comes to WWI German footwear. 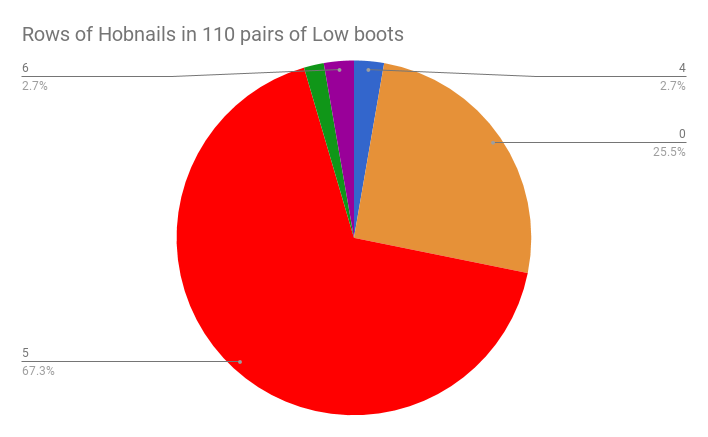 Questions about heel irons, hobnails and toe plates are the ones that interested me the most. I decided to survey Images of German Soldiers where the soles of the footwear was available. I wanted to establish how many rows of hobnails were common, if the presence of toe plates was common and the format of the heel irons. 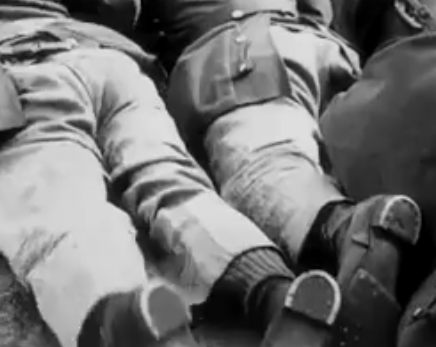 To do that I examined nearly 500 images of German soldiers soles. There were several things that surprised me. 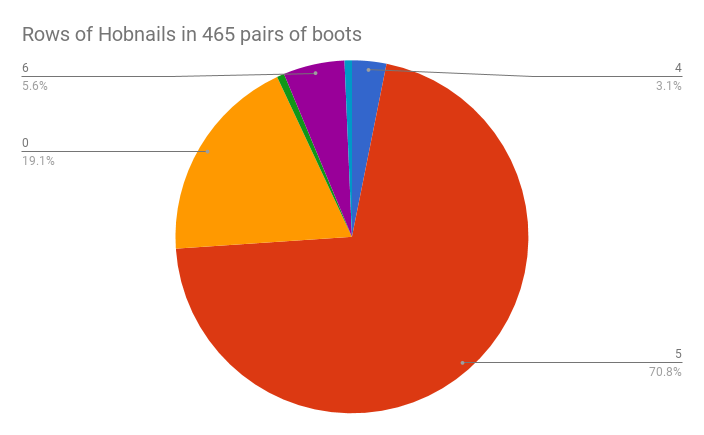 Most noticeably there was NOT ONE SINGLE EXAMPLE of a toe plate in almost 500 examples. I had believed that toe plates were in use prior to WWI and continued in usage through the second world war. This is clearly not the case. Toe plates must have been employed first between the two wars. I would now judge any piece of footwear purporting to be WWI German which has a toe plate as suspect. Toe plates may well have been added at a later date perhaps during a repair or the boots themselves if pristine may have been manufactured shortly after the war when toe plates were introduced. Heel irons are a bit of a mystery. Were they L-shaped in profile or were they rectangular. 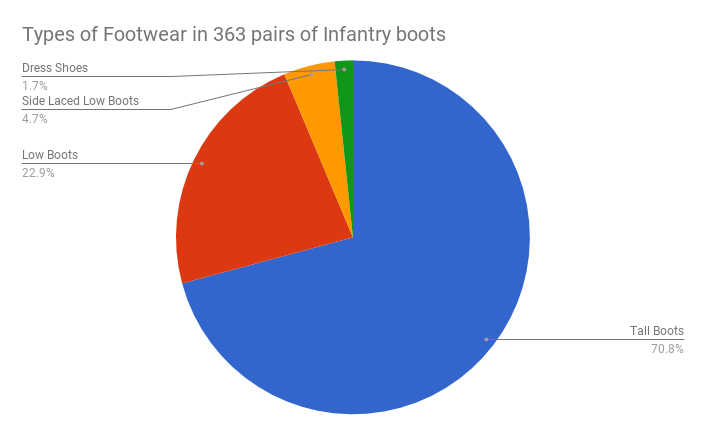 L-shaped seems to have been the desired standard for WWII boots but plenty of images appear of rectangular heel irons appear. But was this also the case for WWI? 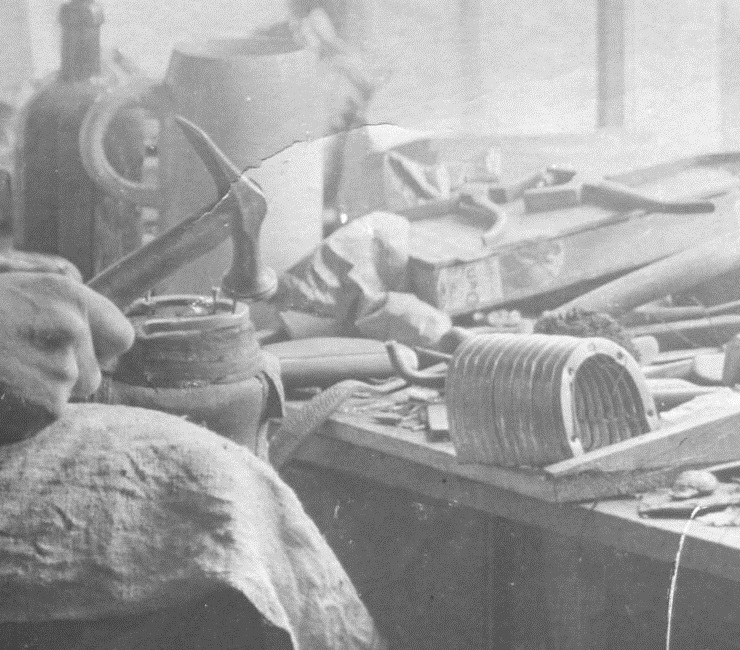 I know for certain that the rectangular heel irons were used for repair work as this image clearly shows. Where images clearly show the heel iron they typically appear to be of this type. However statistical analysis is not possible due to the subjective nature of interpreting the shape of a heel iron from an image. However one singular image stands out to me In this image two men lie together firing a MG08 machine gun. The loader on the left is clearly wearing rectangular heel irons and even the nails can be seen in the image. 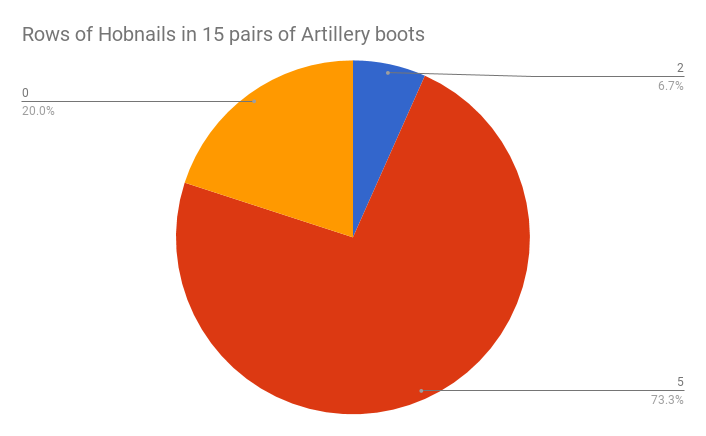 The gunner on the right wears L-shaped heel irons and the nails can be seen dimpling the leather infill inside of the heel iron. From this image it would appear that both types were in use though the rectangular type APPEARS to be more common. This brings us to hobnails. This is where actual statistical work can happen. Rows were counted across the ball of the foot as vertical lines of hobnails. A single row of nails surrounding the outside edge of the boots would be counted as a two rows since across the ball of the foot it appears twice. 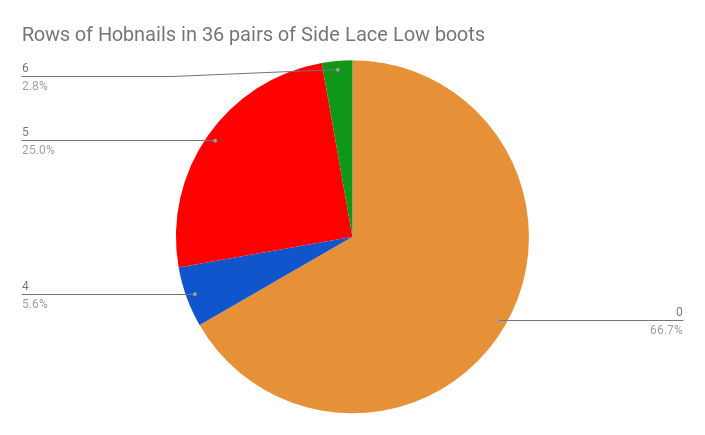 This may seem strange but it is an artifact of the research I did on WWII boots where the toe plate may divide this single row into two distinct rows. For consistency I decided to maintain this system across the periods because when I began the project I was expecting to find evidence of toe plates. I have defined four types of footwear for this project--Tall Boots, Low Boots, Side Laced Low Boots, and Dress Shoes. Where possible I have defined the branch of service or role of the figure illustrated in the images I cataloged. 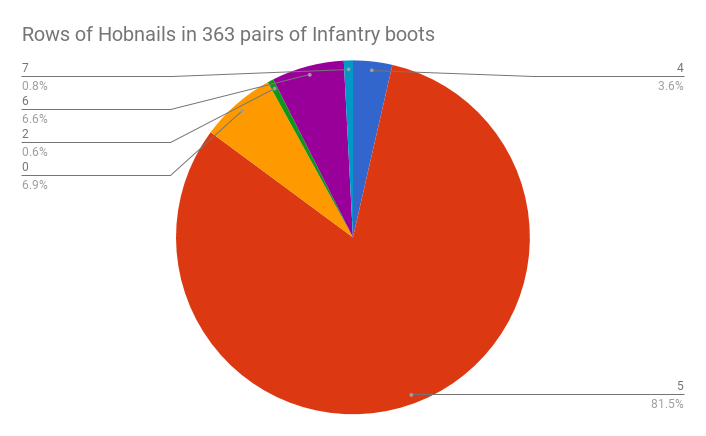 When it was not possible to determine a branch or role I labeled them as infantry. Additionally I have categorized officers, medical personnel, artillery, and kriegsmarine. In some cases the sample size was fairly small and may be misleading. Sample size is listed at the top of each chart. I was also able to divide the type of footwear by branch. 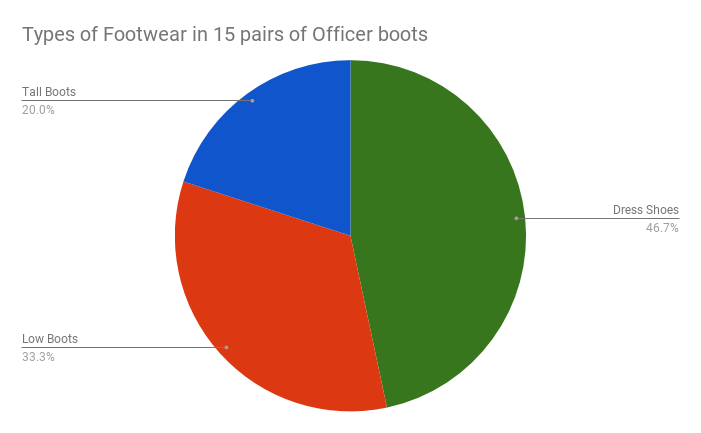 This information should be viewed with caution since the use of low boots versus tall boots may be more of a factor of date than of branch or role and that is not information I was able to determine in the survey.